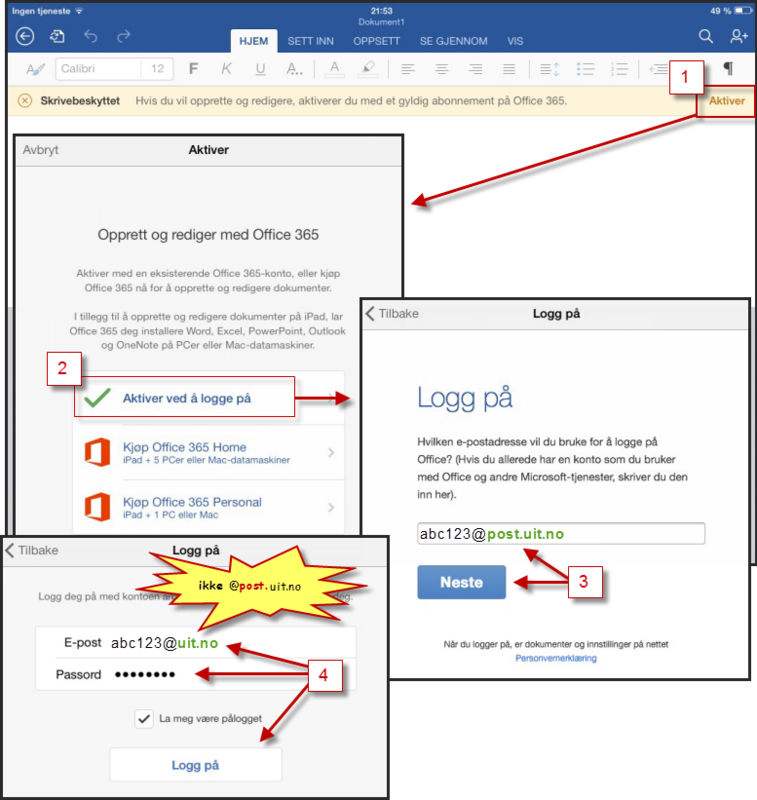 If you have downloaded Microsoft Office from Office 365 you might be asked for extra authentication when you start Microsoft Office for the first time. Follow the instructions below. 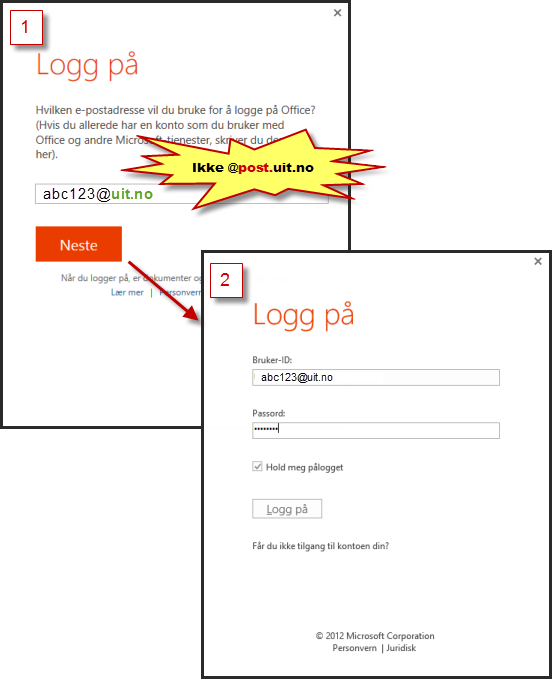 The first time you download the Microsoft Office apps, you might not be asked to activate your copy. Rather, you may only have the option to buy it. Should this be the case, close the program and start the Microsoft Word app. 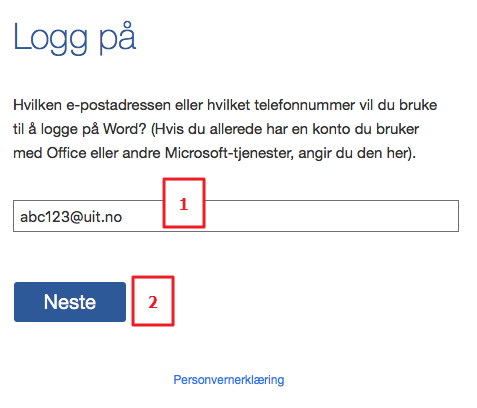 Word will then ask you to authenticate, and you can do the following. 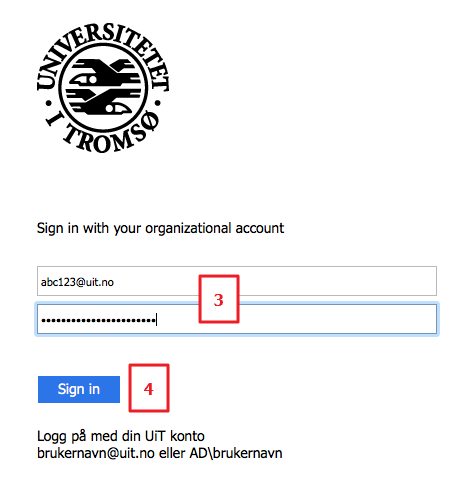 Select "Aktiver ved å logge på"/"Activate by logging on"
Log in with your username plus @uit.no (for example: abc123@uit.no) and enter your password. 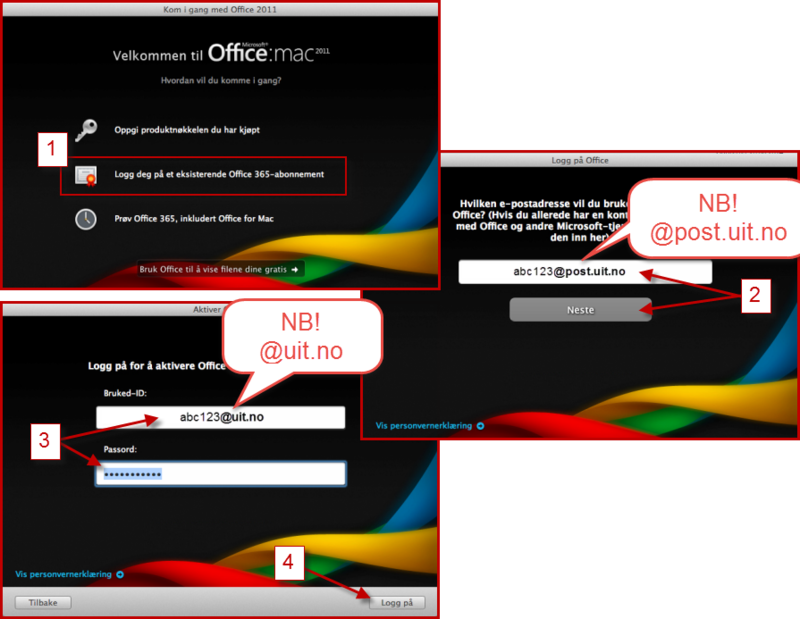 Please note: Despite what the log-in window suggests, do not enter your e-mail address here.